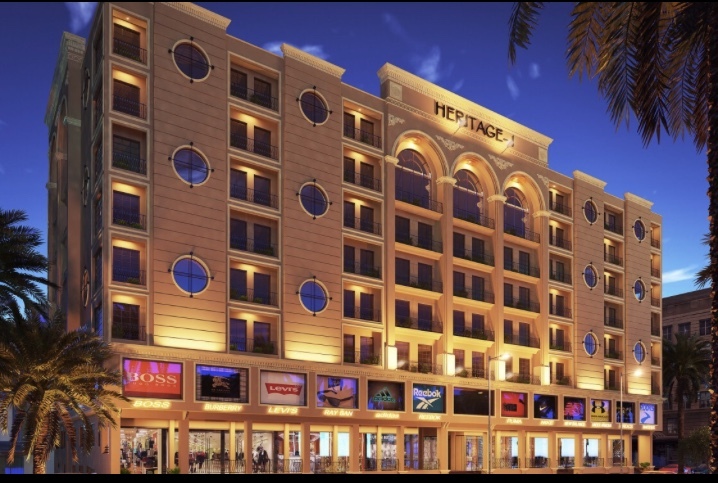 Heritage 1 in Islamabad is an on-going multi-used project by Fast Marketing. The project is open for booking on first come first serve basis. Heritage 1 has various sizes of commercial shops and residential plots. Both the apartments and commercial shops are available for booking on easy installments. The project consists of several floors including dedicated parking floor, shopping mall, entertainment, and food court. Heritage 1 is located in Bahria Town Phase-8. A few minutes drive away from Islamabad International Airport, Motorway M-2 and near to Thalian Interchange. Ground floor: Rs 25,000/- per sqft. Lower ground floor: Rs 18,000/- per sqft. Mezzanine: Rs 16,000/- per sqft. 2nd to 7th floor: Rs 5,500 per sqft. Our sources claim that “the project will be launched quickly than many experts” and many expect it to be originated sometime during the next year; in the second half maybe. Very surprisingly and despite the fact that affidavit files for the society are growing hands, there hasn’t been any marketing moved out for the society. Each time we came across relevant information, it was in form of ads issued by the authority; once for inviting logo design and then for starting land purchase process, while the latest ad invited applications for dealers’ registration.